Direct a vast network of spies all around the world! 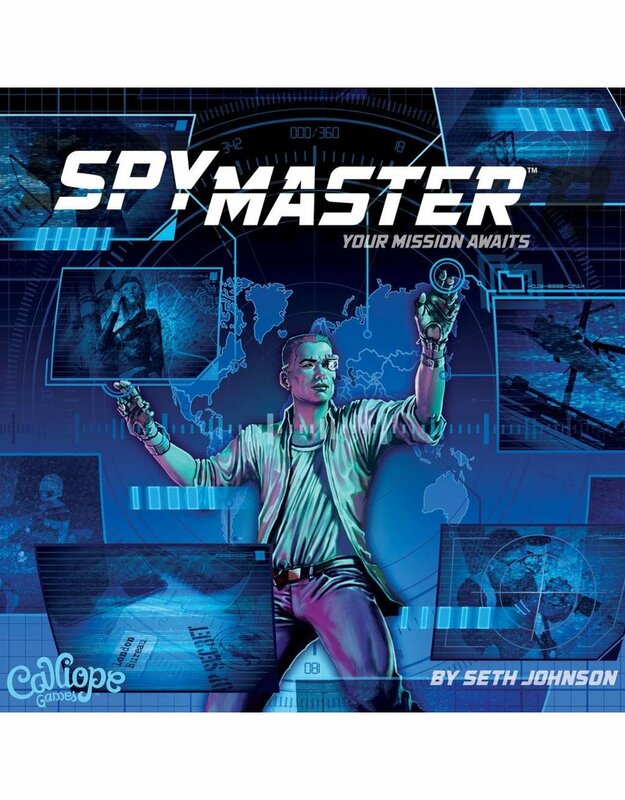 As the head of a clandestine spy agency, gather intelligence files that have been strategically divided, and use them to maneuver your agents across the globe and accomplish daring missions. Along the way, uncover secret directives and powerful spy gadgets to give your agency the advantage over your rivals. 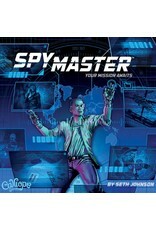 The mission awaits, SpyMaster! SpyMaster takes place over five rounds. Each round begins with intelligence being gathered using the "I split, you choose" mechanism, with the spymaster player divvying the available intelligence cards into files, after which the players go around and take one stack in clockwise order, ending with the spymaster. By playing intelligence cards from hand, players take turns moving agent meeples — both their own and freelance agents — into position to control the areas, meet mission requirements, and claim the mission cards. At the end of five rounds, the player with the highest value in accomplished missions, along with bonuses for remaining intelligence in hand, wins!